WINTER SALE - Usually 49.99, today just 19.99 - Save £30! 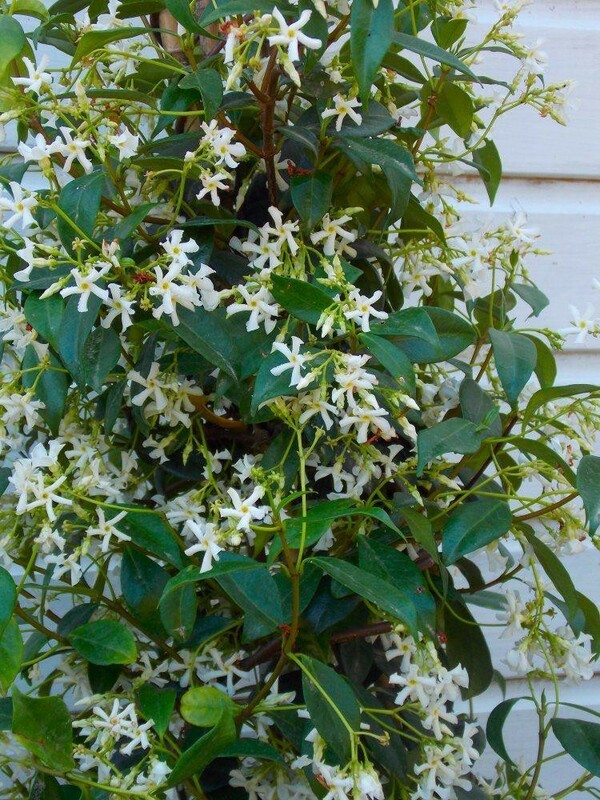 Large fragrant scented white flowered star Jasmin Imagine relaxing in your garden through summer, with a few drinks, perhaps on a sun lounger in the sunshine, as if taken to a distant shore, maybe with one or two of our large tropical looking palms dotted around you, and the sweet scent of this star Jasmin on the air. 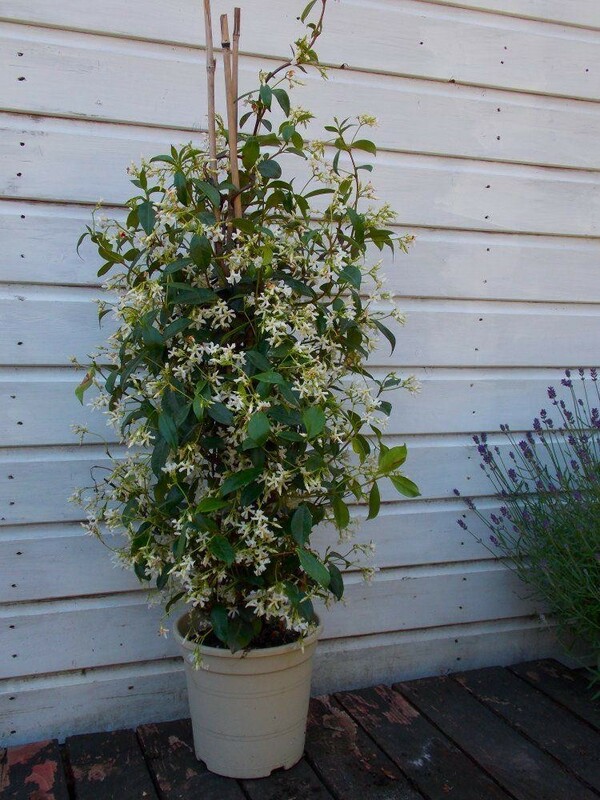 Will climb over fences, trellis, walls, arbours and more Star Jasmine, or Trachelospermum is an attractive woody, evergreen climber with rich, dark green leaves which turn bronze in winter. Highly fragrant, pure white flowers are produced from mid-late summer. 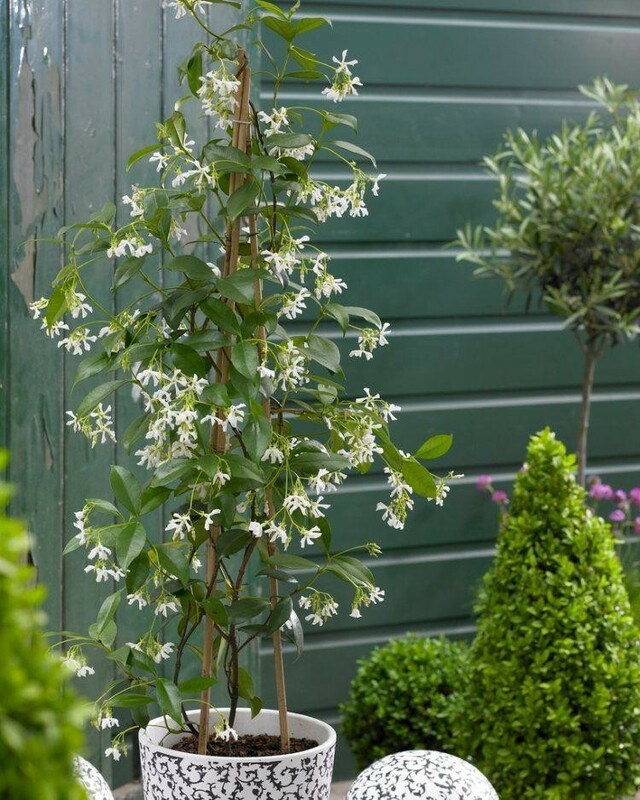 It is best grown against a warm, sunny wall and is an excellent plant for adding a touch of scent and high-rise glamour into courtyards, climbing over garden structures in a sunny spot. 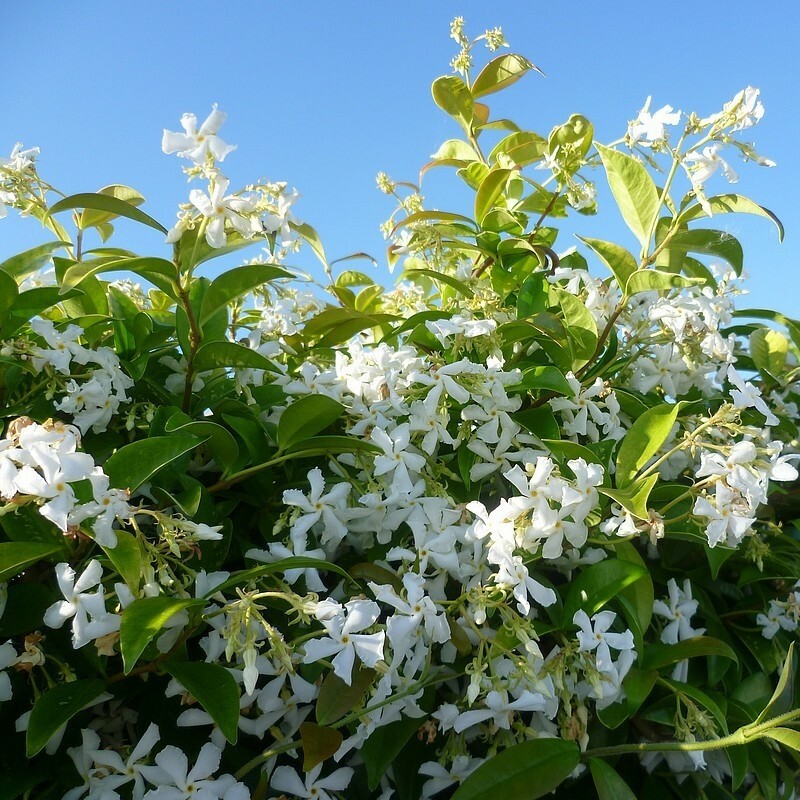 Especially lovely in warm sunny borders at the foot of a sheltered south-facing wall, this plant will thrive in well drained soils, and is particularly tolerant of hot summer weather where other climbers may flag. Great Value - Plant Supplied at around 150cms tall.